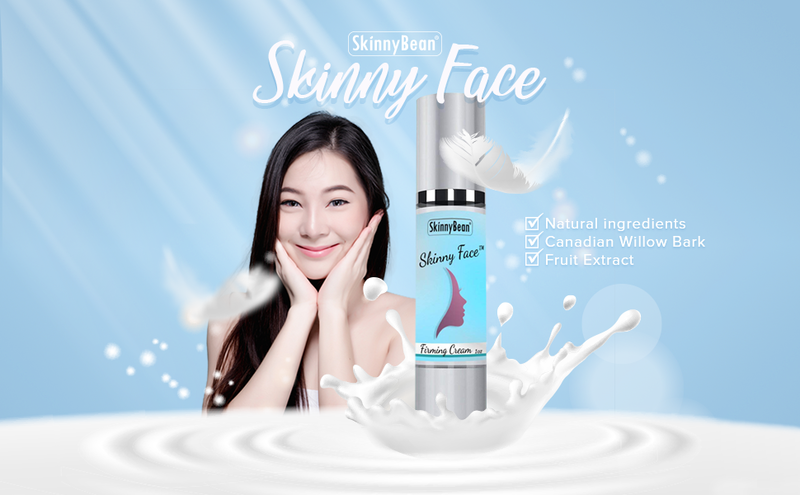 Skinny Bean's "Skinny Face" , reduce face swelling and increase firmness , facial swelling is — the buildup of fluid in the tissues of the face. Then massage under your chin for about a minute, in slow circles. Think about lightly pushing lymph from under your chin downward into the neck lymph nodes. Massage the nodes under your jaw line on each side for a minute. Massage under your ears for a minute, and then massage the base of your skull. Rich & non-greasy cream formula won’t clog pores and has been shown to relieve puffiness in the face . Our organically sourced extracts combined in a concentrated formula is found in the root of numerous plants.